Jessying - Malaysia Beauty Blog - Skin Care reviews, Make Up reviews and latest beauty news in town! 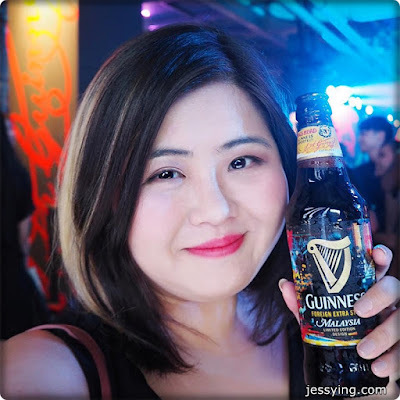 : Guinness celebrates 50 years anniversary in Malaysia with three limited edition designs! Guinness celebrates 50 years anniversary in Malaysia with three limited edition designs! Guinness Malaysia unveiled three limited edition designs for its Foreign Extra Stout bottles and cans last week at their 50 years of anniversary in Malaysia. These will be available from now to November only while stock lasts. Each one is bursting with vibrant colours and intricate patterns, inspired by the wealth of history and culture Malaysia has to offer. What has not changed is the glorious Guinness inside ; because it's the exact same formula that Malaysian have known and loved all these years. Bruce Dallas, Marketing Director of GAB said "For the first time, we've created brand new limited-edition design specifically for one country, drawing inspiration from its culture and its people." These limited edition designs Guinness bottles have not only been inspired by Malaysia, the have been created for Malaysian, by Malaysian. Behind the designs are five luminaries of the Malaysian creative scene, who came together to explore the concepts of history, identity and culture. The "Creative Council" comprised of musician Edwin Raj (frontman of local band They Will Kill Us All), artist Donald Abraham, film director James Lee, graphic artist Lefty (Julian Kam) and photographer Vincent Paul Yong. Each limited-edition design created to represent a distinct era in Malaysia's journey - stretching back to our tribal roots, through the age of independence, leading into the modern day and looking ahead to the future. Amazing dance choreography to showcase each era which the designs represent. This is the era of post Malaysian independence day where people had their beer in traditional coffee shop aka kopitiam. This is the place where all the coffee shop talk happened where people sit and hang around to talk gossip on national politics, sports, food, etc. This is the current era we are in where people enjoy their favourite Guinness stout in pub. Haha more high class now lah..
Happiness overload ... best combination ever! Not forgetting great music & friends accompanying the night. The three collectable limited edition design will not appear only in Guinness Foreign Extra Stout bottles (325ml and 640ml) but also in cans (320ml) from now to November 2015 while stock lasts! Thanks Guinness for this limited edition miniature!! I love it! 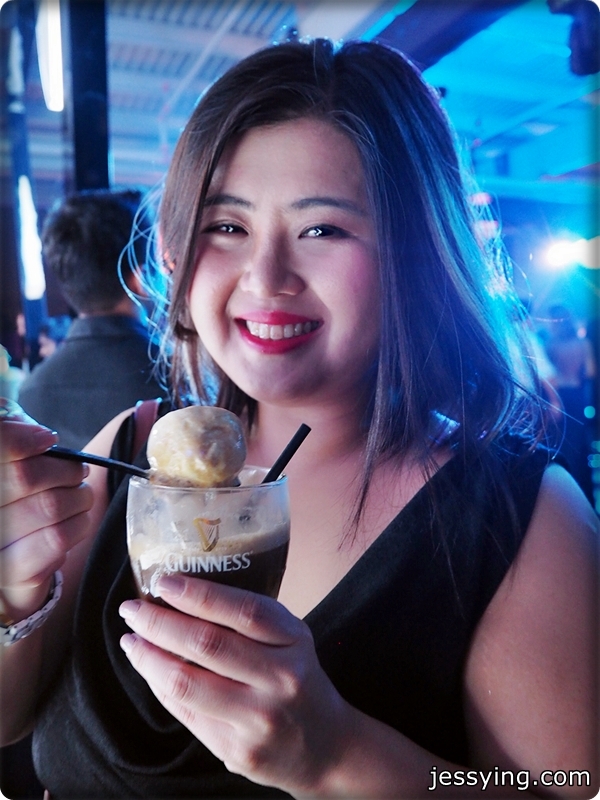 Happy 50th Anniversary Guinness Malaysia! Cheers!